A quick-growing vine with glossy, green foliage giving it a tropical effect. 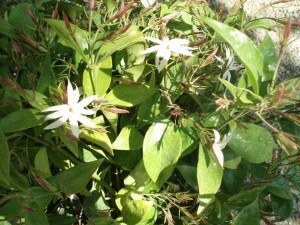 It is also grown for its intensely fragrant flowers. Blooms from April to September. Best if supported with a trellis. 6-8" plants.